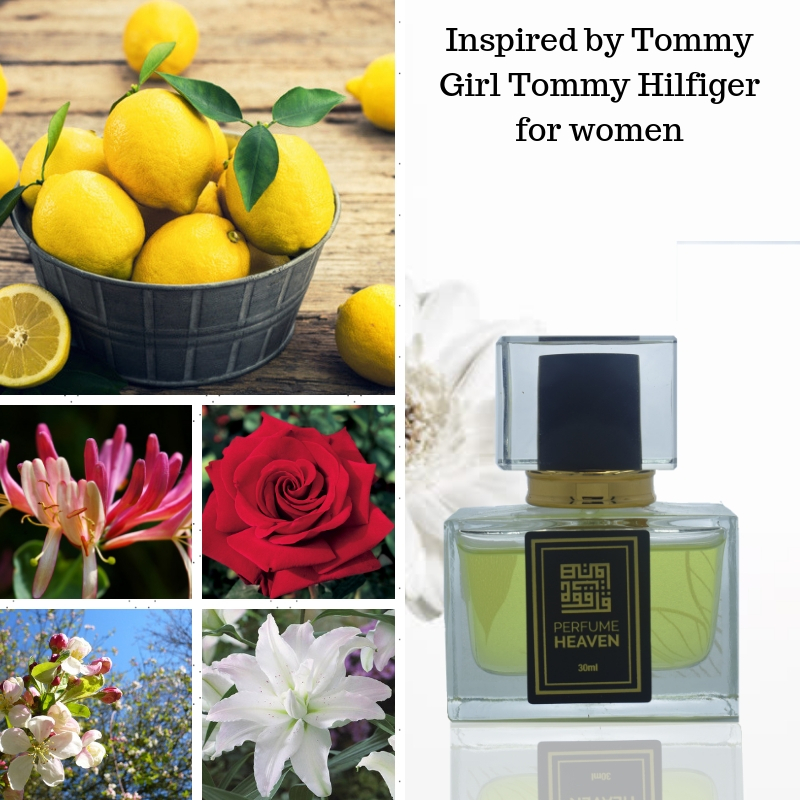 ommy Girl by Tommy Hilfiger is a Floral Fruity fragrance for women. Tommy Girl was launched in 1996. The nose behind this fragrance is Calice Becker. Top notes are black currant, camelia, mandarin orange and apple tree blossom; middle notes are honeysuckle, lily, violet, mint, grapefruit, lemon and rose; base notes are magnolia, leather, sandalwood, jasmine and cedar. Perfume rating: 3.65 out of 5 with 2686 votes.